Ever wonder what your mom might have been reading while she was pregnant with you? To celebrate World Book Day, UK-based online bookshop Wordery launched a fun new tool that allows you to discover which book was at the top of the New York Times Bestseller list the year you were born. Simply enter your age and Wordery reveals your birth year’s most popular title, along with how long it spent at the top spot. You can also scroll through the tool’s timeline to find out which books were favorites between 1948 and 2018. While John Grisham is the author who features most frequently, the list reveals Hawaii by James A. Michener as the most popular book of all—it spent a staggering 38 weeks as the bestseller in 1960. Harry Potter fans might remember the year 1999, when J.K. Rowling’s The Prisoner of Azkaban took the top spot for 10 weeks. The most recent bestseller is James Patterson and Bill Clinton’s political thriller, The President Is Missing, which was released in 2018. Discover the bestselling book the year you were born on the Wordery website. UK-based online bookshop Wordery has recently launched a tool that allows you to discover which book was at the top of the New York Times Bestseller list the year you were born. 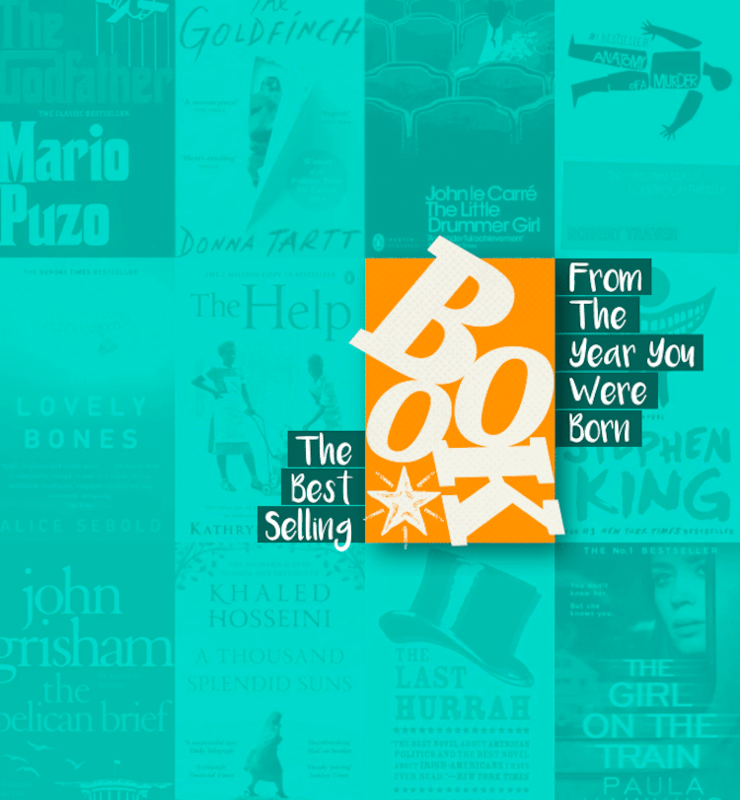 The post This Fun Tool Can Tell You What the Best-Selling Book Was the Year You Were Born appeared first on My Modern Met.